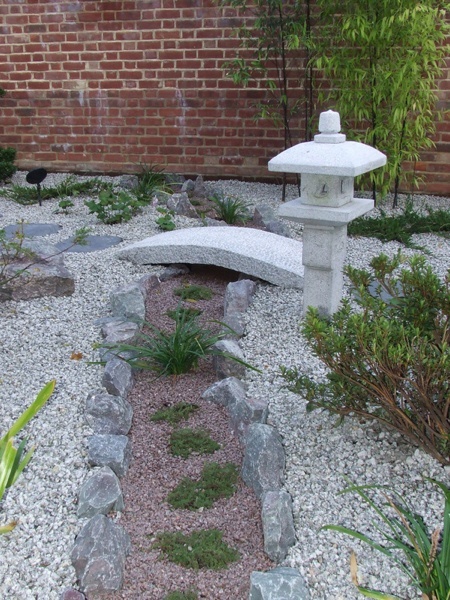 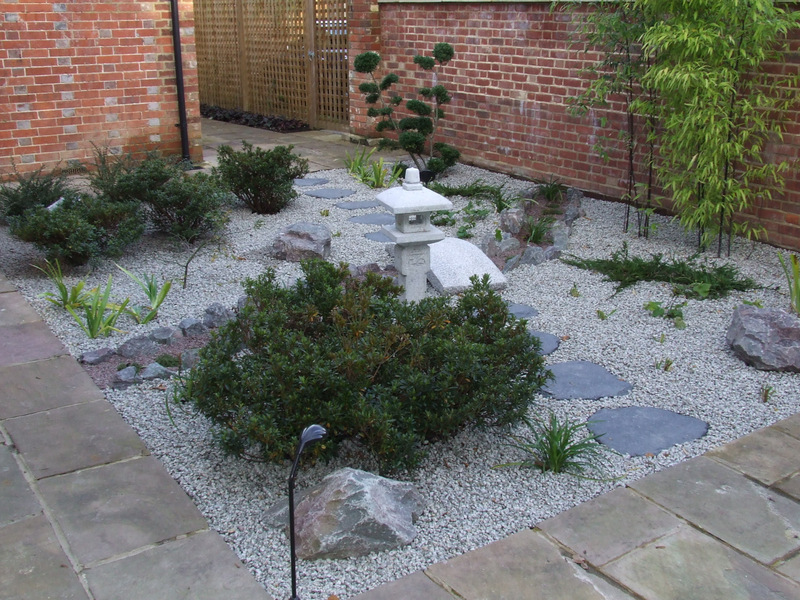 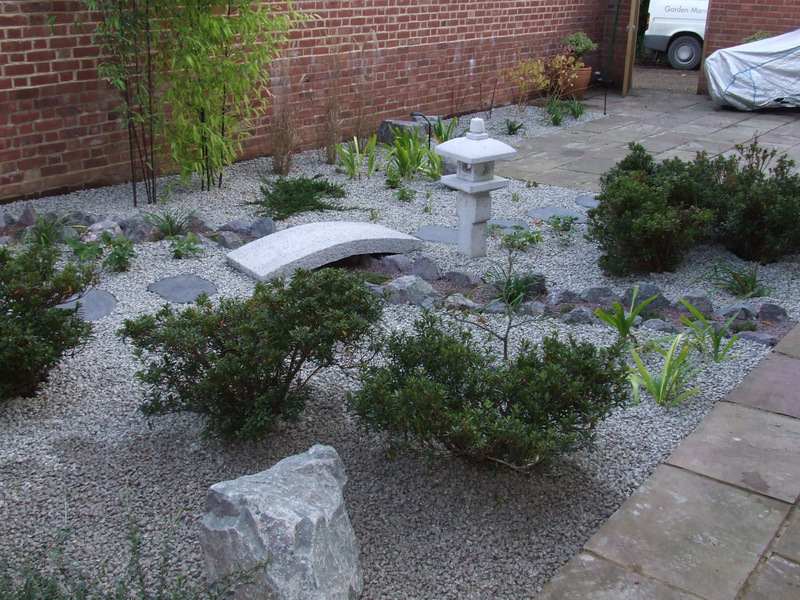 The client asked for Japanese elements to be used in the garden. 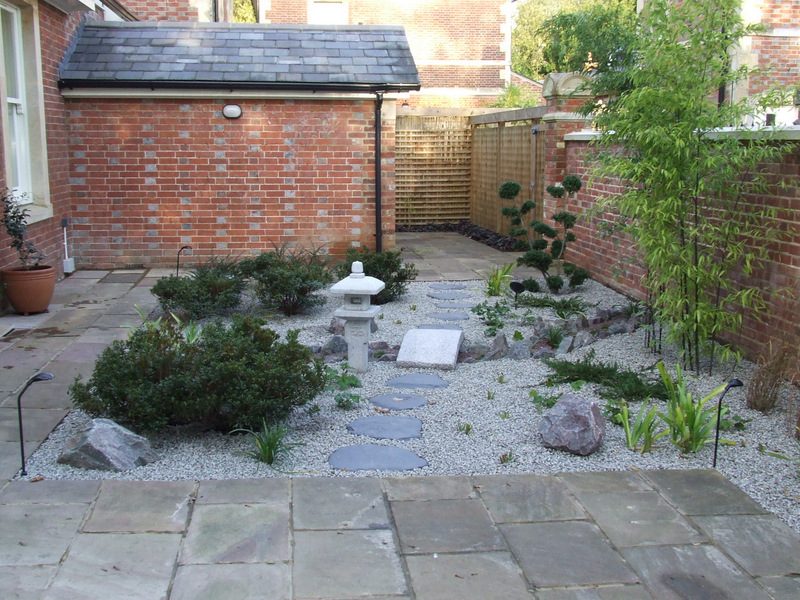 The granite bridge and lantern create focal points while the bamboo screens from the neighbours window. 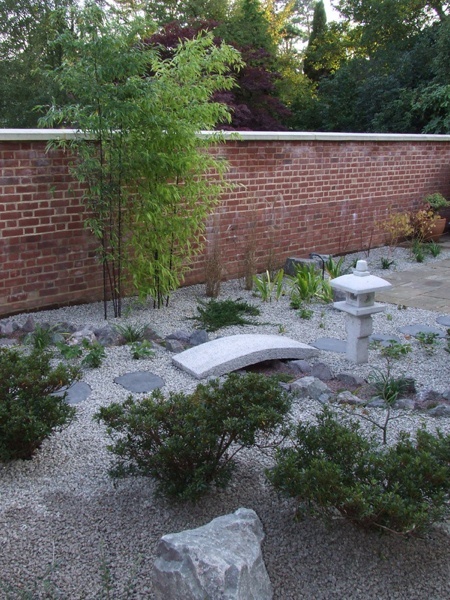 The cloud pruned Japanese privet provides a strong evergreen form against the brick wall.